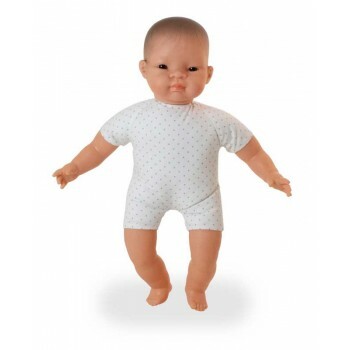 Soft bodied doll with articulated head. 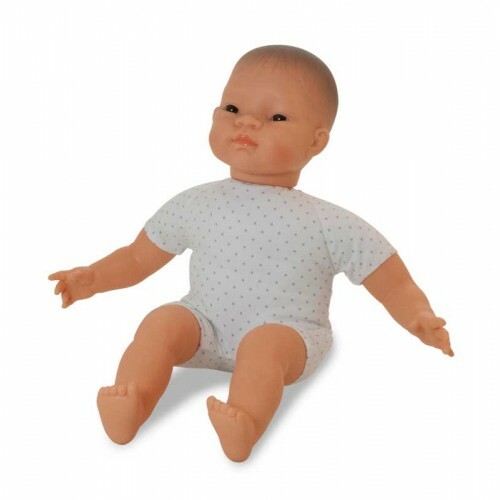 The head is a classic-style representative of an Asian style doll. Made in Spain, the dolls have well-defined ethnic features to aid the identification of the most representative races. The dolls can be articulated. Made in Phytalates-free vinyl, they are soft and flexible to the touch.